Sugar reduction in foods is a topic of great interest around the world. In Germany, retailers are advertising the lower sugar content of their house brands. In Great Britain, since April of this year there has been a sugar tax on soft drinks. In other European as well as Latin American countries, nutrition traffic lights on packaging alert consumers to the sugar percentage in foods. In India, regulation to this effect is currently being finalised. The main driver for all this activity is the ominous increase in obesity on all continents, that is increasingly being linked to high sugar consumption. It is therefore no surprise that the number of sugar-reduced or sugar-free products is growing rapidly around the world. In just the past 5 years the number of product launches has more than doubled, from just under 5000 in 2012 to more than 10,000 in 2017 worldwide. Soft drinks and dairy products are among the fastest-growing categories. 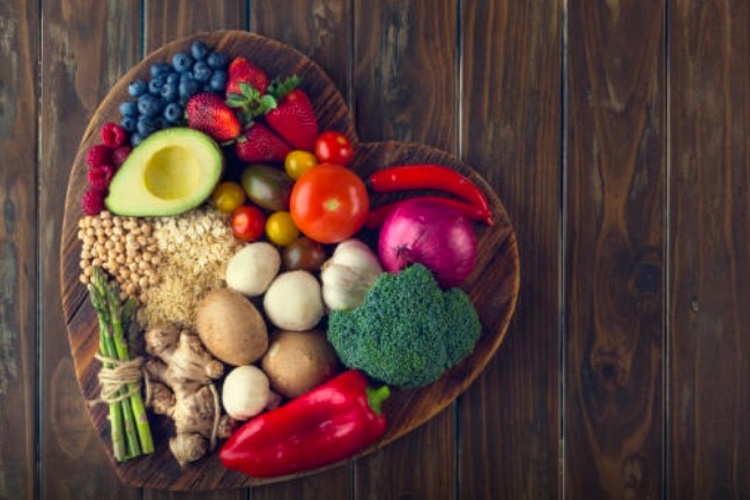 This growth is set to continue, as obesity is a key risk factor for cardiovascular diseases that are a major strain on healthcare systems, and more and more governments are devoting attention to the issue. The new need is 'low sugar' and new solutions from retailers and industry are in higher demand than ever. And here is where the challenge lies. 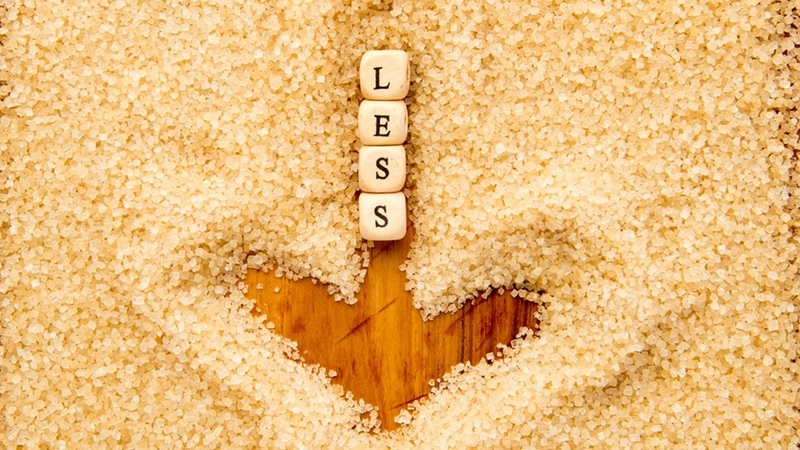 From a technological point of view sugar has many desirable properties. It binds water, acts as a preservative, and is very readily soluble. Most importantly, it gives products flavour, body, texture and a pleasant mouth feel. Merely replacing sugar with intensive chemical sweeteners or alternative sweeteners is generally not a viable alternative for food manufacturers from a technical standpoint. Instead, they try to replicate the many functions of sucrose through combinations of other ingredients. This is just what the new stabilising and texturing systems from Hydrosol accomplish. In application testing, Hydrosol technologists and scientists have determined the optimum interplay of individual components in various food products. 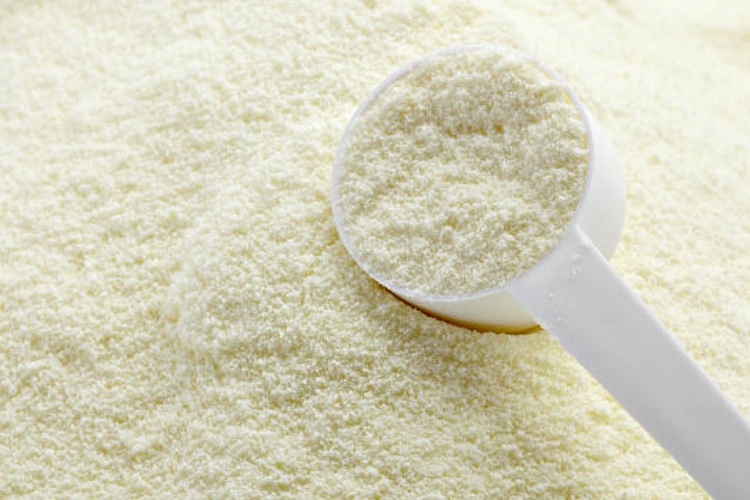 The result is individual ingredient combinations for foods like yogurt, drinking yogurt, mixed milk drinks and pudding, as well as for fruity refreshing drinks, energy drinks, ketchup and plant-based whipping creams. 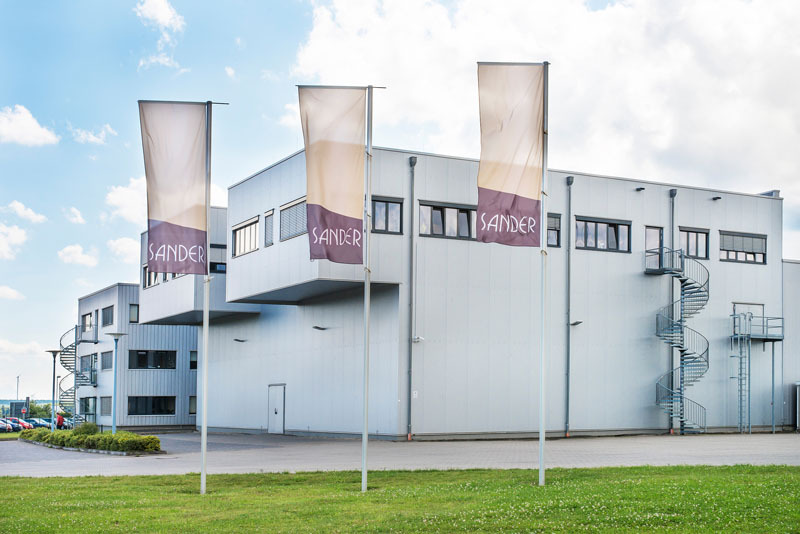 “With our new stabilising and texturing systems we can compensate for lower sugar content,” said Katharina Schäfer, Product Manager Dairy & Deli Foods at Hydrosol. A positive side effect is that if the fibre content is high enough, it can be marked on the product as an added health feature. 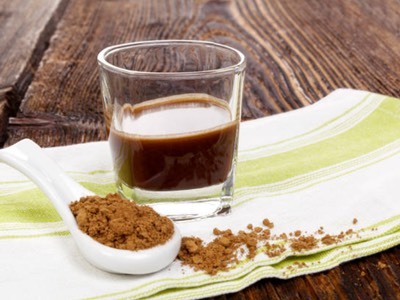 To get the requisite sweetness, depending on customer wishes Hydrosol uses low-cost conventional sweeteners or raw materials like stevia, which has a positive image with consumers. Natural flavourings round out the flavour profile. 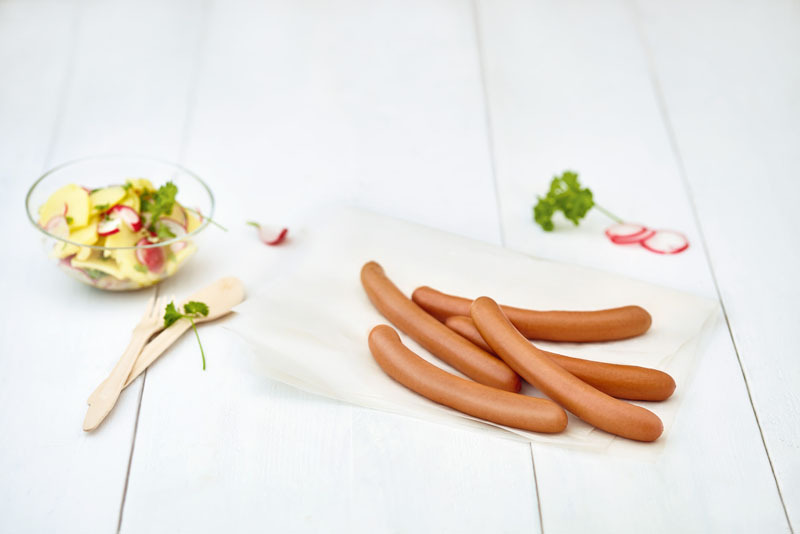 “Our sister company OlbrichtArom even offers a ‘sugar booster’ especially for sugar-reduced products. 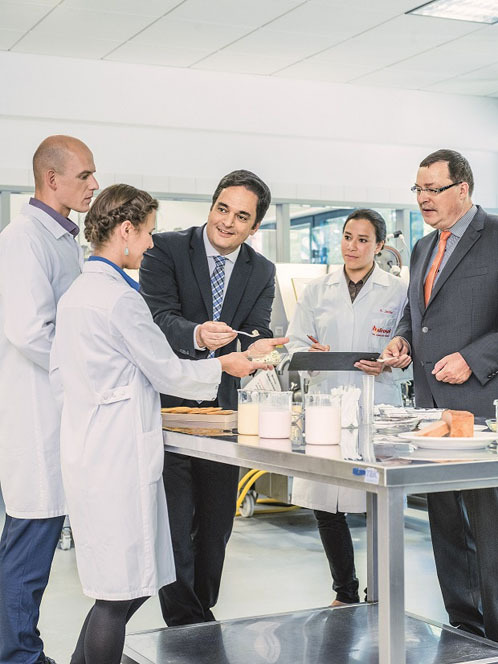 This natural flavouring amplifies the delicate sweetness in the final product without affecting its characteristic flavour,” explained Schäfer. 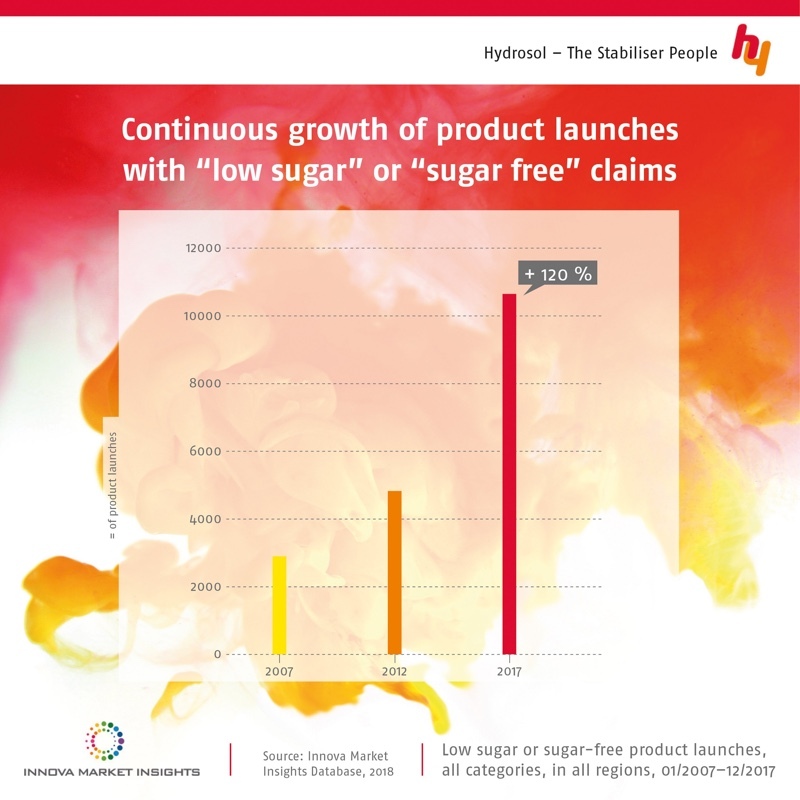 Hydrosol’s new functional systems enable different sugar contents as desired, from sugar-reduced to sugar-free. “A reduction by 30–50% is relatively easy for us to achieve in most products. We follow European food law,” said Schäfer. This states that foods and beverages can be labelled as 'reduced sugar' if they have at least 30% less sugar than comparable products, as long as calorie content is not higher than comparable products. For labelling as 'low sugar' the consistency is the determining factor. Solid foods like yogurt can contain no more than 5 g sugar per 100 g food. For milk beverages, soft drinks and other liquids the upper limit is 2.5 g per 100 ml. 'Sugar-free' products may not exceed 0.5 g sugar per 100 g or 100 ml.